More than ninety percent of dog owners consider their pets to be members of their family. But often, despite our best intentions, we are letting our dogs down by not giving them the guidance and direction they need. Unwanted behavior is the number-one reason dogs are relinquished to shelters and rescue groups. The key to training dogs effectively is first to understand why our dogs do what they do. And no one can address this more authoritatively than the diplomates of the American College of Veterinary Behavior, whose work, the culmination of years of rigorous training, takes them deep into the minds of dogs in an effort to decode how they think, how they communicate, and how they learn. 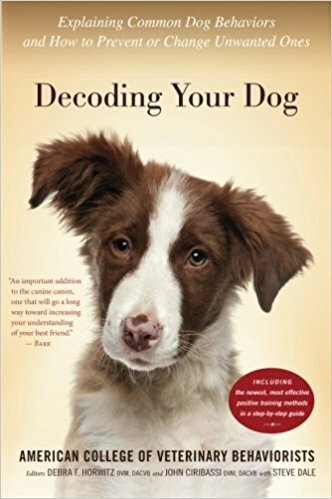 In Decoding Your Dog, these experts analyze problem behaviors, decipher the latest studies, and correct common misconceptions and outmoded theories. The book includes: Effective, veterinary-approved positive training methods Expert advice on socialization, house-training, diet, and exercise Remedies for behavior problems such as OCD and aggression With Decoding Your Dog, the experts' experts deliver a must-have dog behavior guide that ultimately challenges the way we think about our dogs.